A simple way to prevent your lock from freezing is by placing a magnet over the keyhole. Most magnets will work as long as it is large enough to cover the keyhole completely. All you need to do is place the magnet over the lock when you leave your car. After you get in your car, simply toss the magnet in your pocket or purse for later use. 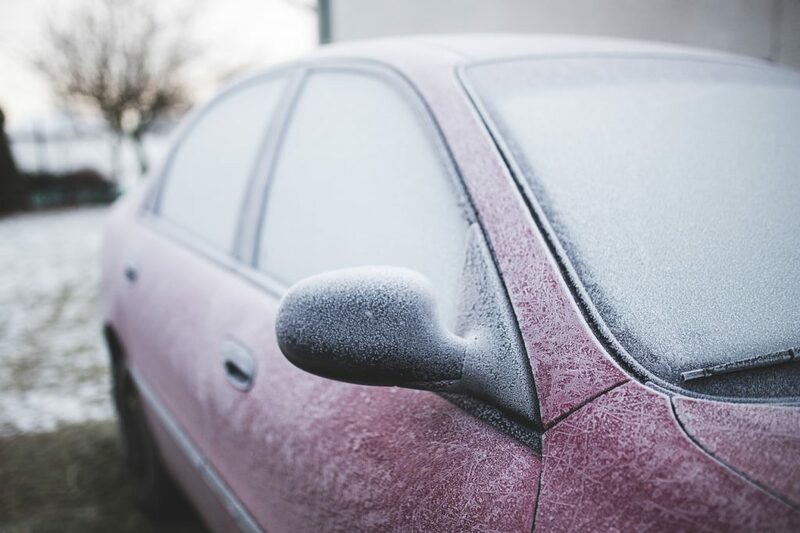 WD-40 is very effective at keeping your car door lock lubricated and frost-free. Simply spray a little into the lock and it should prevent ice and frost buildup for several days. While you’re at it, you may want to spray a little into the lock of your trunk as well. Okay. Let’s say you don’t have a magnet or WD-40 handy and your car door lock is now frozen…what do you do? There are actually a few quick remedies you can try, one or more of which can be effective enough that you won’t need to call a professional locksmith. Hand sanitizers have a high alcohol content, which not only prevents it from freezing, but enables it to thaw ice as well. Squirt a little bit of the gel on your key, make sure it covers both sides well, and it should unlock your stuck door lock after a few turns. Petroleum jelly is an effective lubricant that will enable you to turn the key in the lock easily. This may take a bit longer to do than if you use hand sanitizer, but it will work most of the time. Simply coat your key lightly with a small dab of petroleum jelly and turn it in the lock gently in both directions. Simply heating up your key with a lighter could be enough to unstick a stuck lock. If the lock is completely frozen, you may have to heat your key more than once. As with all other methods, don’t rush it, and turn the key in both directions slowly. You should be able to get the ice melted in a few minutes. Commercially-available de-icing spray is even more effective than the solutions mentioned above. Of course, having it tucked away in the glove compartment of a frozen car wouldn’t do you much good, so make sure to have an extra bottle handy at home or in your office desk as well. In the worst-case scenario wherein, you don’t have any of the solutions mentioned above, your breath could be all you need to thaw out your car door lock. Simply cup your hands around the lock and blow into it for a few minutes. It may be necessary to do this more than once, but your lock should thaw after a while.